He nearly died at the pet store — but he's so handsome now! There are few things as heartwarming as a great before-and-after adoption story. And dogs and cats aren't the only animals that can benefit from a bit of love, as the dramatic transformation of this little fish shows. 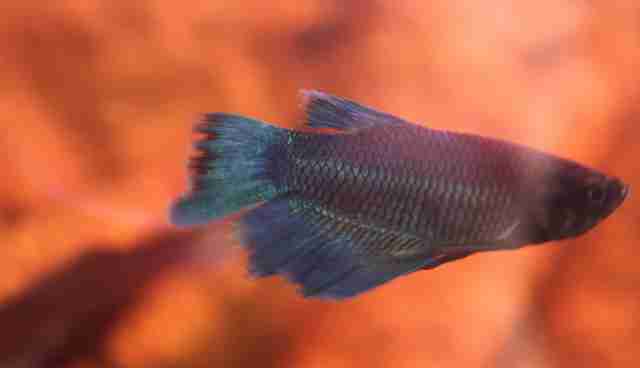 Reddit user Astilaroth found the near-dead betta fish at a pet store, lying listless at the bottom of a tank. She said she offered to take the fish for free because she didn't want to "reward" the pet store for keeping the fish in such bad conditions. "The poor beasty is in horrible shape," Astilaroth wrote. 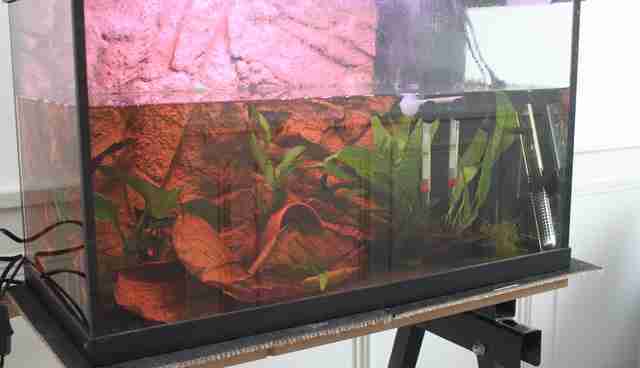 "It was kept in a large community tank without any cover, with bright lights and many other species. Not cool for a territorial fish which has vulnerable fins that easily get nipped by curious species." 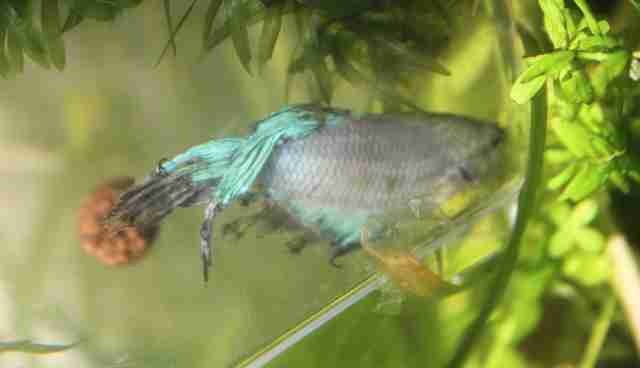 The little fish was also suffering from fin rot and was much paler than a betta should be. 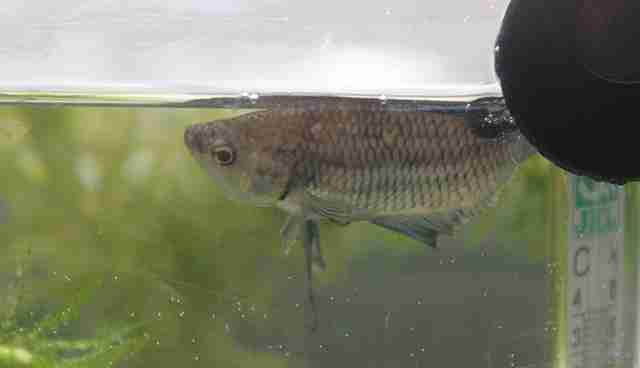 Astilaroth placed him in a quarantine tank with a salt solution to help him heal. 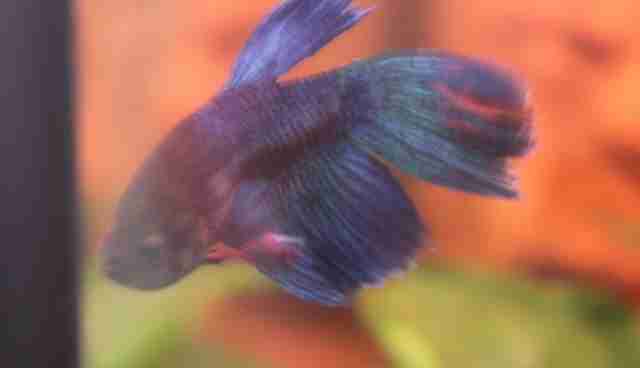 However, the betta wasn't improving. 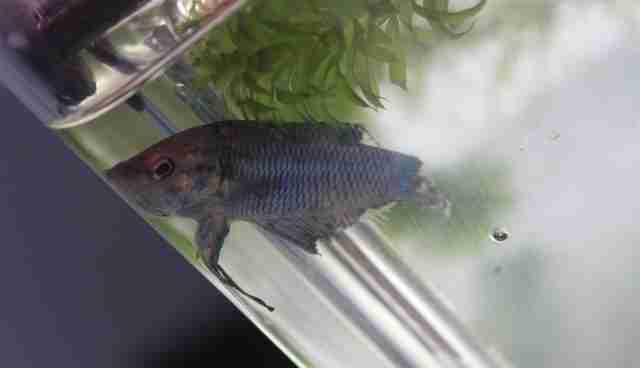 His fins began to fall off, and he didn't eat for a week and a half after she brought him home. "At this point I put him on an ultimatum and started looking into humane options to end it," Astilaroth wrote. "Not much fish left." Then, almost two weeks in, something changed. The little betta began to perk up and started eating again. 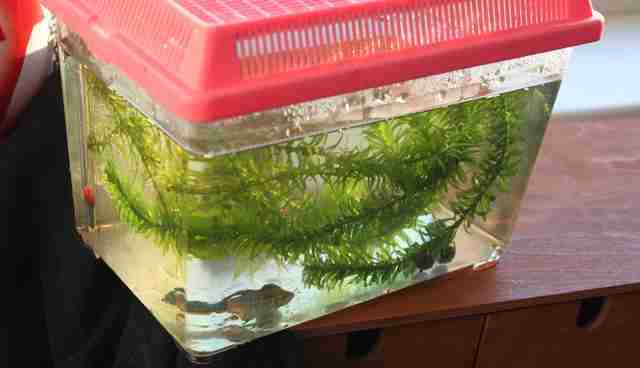 He was moved to a bigger tank with rocks and hiding places. Almost immediately, his fins began to regrow. 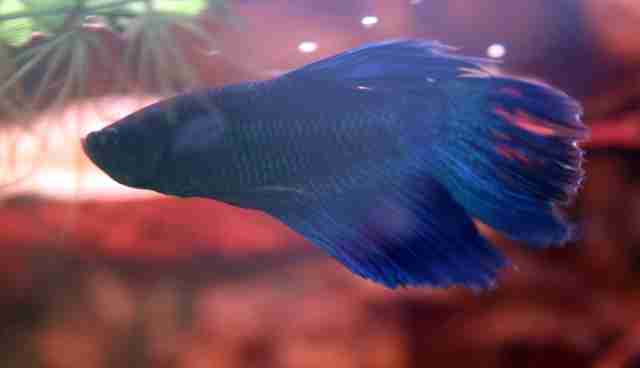 One month after his rescue, the betta had regained some of his characteristic bright color and was sporting some short fins. 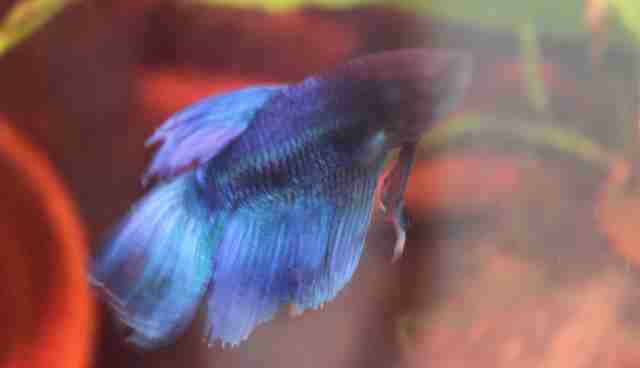 Over the next few weeks, his fins grew longer and he turned a bright cobalt instead of the pale sickly grey he was before. 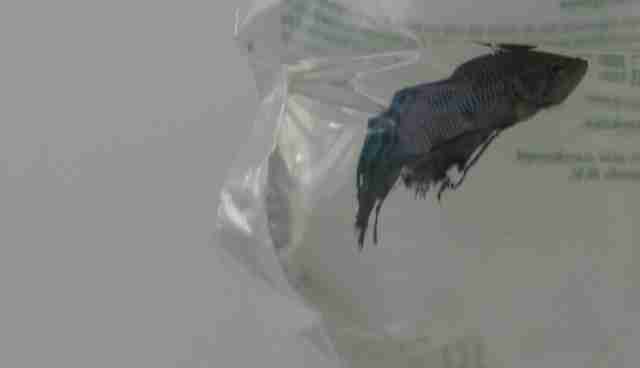 Now, sporting long fins and a bright, variegated blue color, this lucky betta is unrecognizable as the half-dead fish the pet store gave up on. He might be tiny, but this fish's lovely little story is a reminder that all animals deserve a chance at life - and can reward you if you give them the care they need.